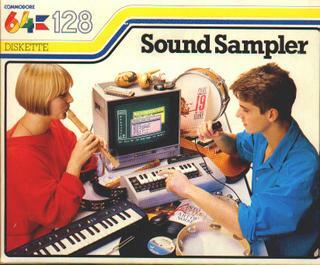 Fresh amazing utility that allows you to play two combined tunes with one Commodore 64 !!! but that's not all, the best thing is that it combines one digi-sample sequence and a normal SID module, making use of the fourth digi channel available on the 6581 chip. Uses songs composed using players such as the JCH, DMC, VOICETRACKER, GOATTRACKER and others to finally combine the songs with modules composed on Padua's DIGI-ORGANIZER. I recorded a little mp3 demo of the intro screen, Just hear it (recorded on an emulator, sorry) be warned it cuts off suddenly.. no fancy fadeout! Get the real thing and load your own music and digi-organizer module and then check it out! :o) 4 real ! Fantastic tutorial on how to make your own cartridges. I would think that this is an elegant solution for those people that are actually doing gigs with the Commodore 64 and need a fast and stable setup to autoload songs or applications. I personally think cartridges rock ! 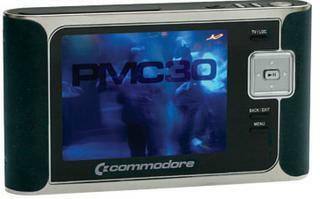 Just imagine a DJ with 2 commodore 64s, a mixer and a bag of SID music cartridges !!!! wouldn't that be a CJ ? The typical application might well be to simply start MIDIMon and let it run. There is extensive help built in, but the operation is pretty simple. 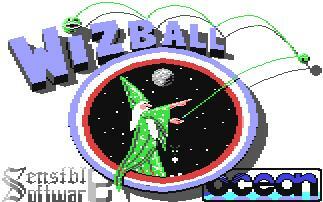 The space bar clears the screen and resets the graphics. This is useful for finding specific activity. The channel messages can be displayed all together, or limited to any channel with a single keystroke. isn't it cool friends ??? I need to ask asciilifeform but I presume this is the project that allows you to use a custom built SID soundcard connected to a PC running a Commodore 64 emulator. 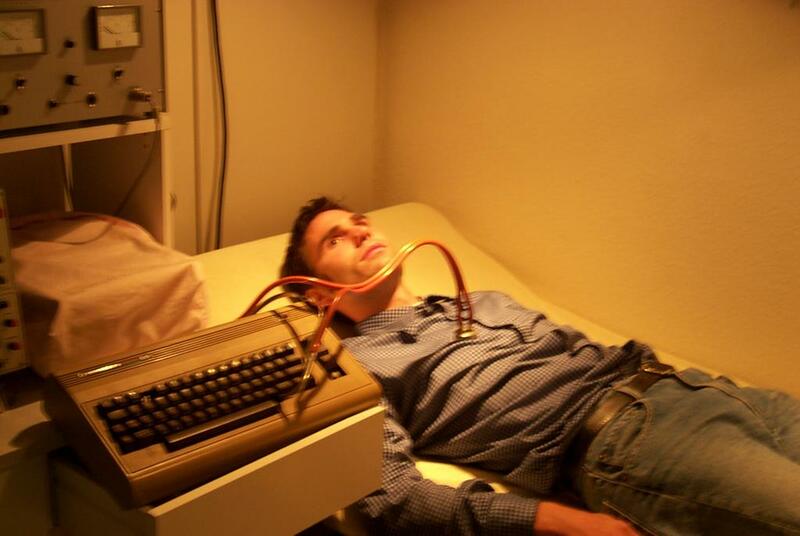 He is using a SID 6582A but apparently it can be adjusted to use other SID chips aswell. This is the MAX, which stands for "MIDI Voice Expander/Computer Peripheral" and it was one of the keyboards that Sequential Circuits built between 1984-86. ...The Max is a 6-voice, multi-timbral analog synthesizer with a 4-octave, 49-note (C-C) keyboard. It was designed to be attached to a Commodore 64 computer (one of the more music-oriented personal computers of the time). Owing much of its design to the Six-Trak, the Max lacks pitch and modulation wheels as well as the Six-Trak's "stack" mode which allow you to stack all six multi-timbral voices for a very complex monophonic sound. It has an onboard sequencer, which has a 500 note maximum. The sequencer features real-time recording (although it has no click-track), looping, and once you assign it to a voice, it will play independent of the rest of the keyboard. Once you shut the Max off, your sequence is lost unless you back it up via MIDI dump. However, when you turn it back on, you can choose from two demo sequences permanently stored in the Max's memory. The Max's MIDI implementation is pretty good for its time. 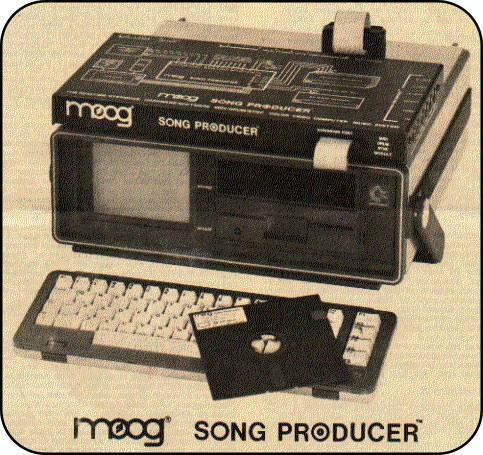 It can send and receive on any MIDI channel and features Mono mode, MIDI program and sequence dumping, and switches to enable it to receive program changes and external wheel receive. However, it does not have a MIDI Thru jack. On the front panel is a single keypad, a single volume knob, buttons for transpose and tune, and 16 buttons used to operate the sequencer. The archive of all this stuff is here. Just have a look at these videos and ponder yourself... if you want. =) Any ideas ??? 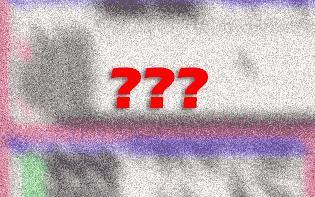 According to getlofi.com "...it looks like a poke to a certain memory spot triggers a pulse and somehow the 2 added potentiometers create an RC filter circuit that uses the COM data lines. 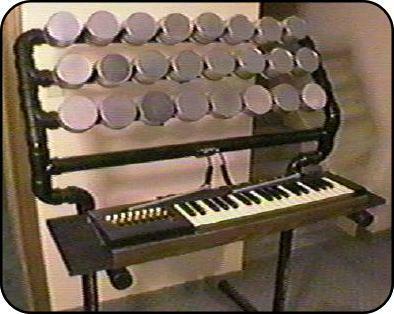 Strange yes, cool definitely.."
Young Monkey designed back in 1988 this monster MIDI controller for the Commodore 64. The Hammond d'Eggs controller was designed specifically for use in live performance. It was easily disassembled for transporting and storage. The keyboard was removed from the Hammond Sounder and wired such that it was easily moved back and forth between the two units in a few minutes. 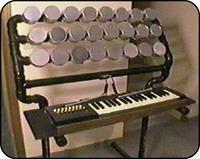 The drum triggers were made from film cans, stuffed with pieces of blanket to deaden the sound. 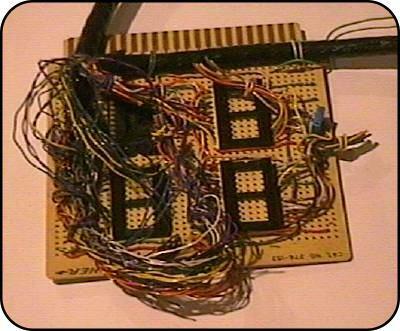 61 trigger switches (37 keys, 24 drums) were connected via this custom Commodore 64 parallel port interface. 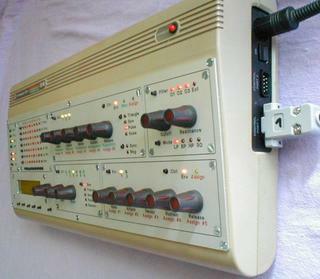 The port's 8 data lines were configured as 4 outs and 4 ins (8 bits). The 4 outs selected one of 4 '1 of 16 multiplexers', each capable of scanning up to 16 triggers (a maximum of 64). 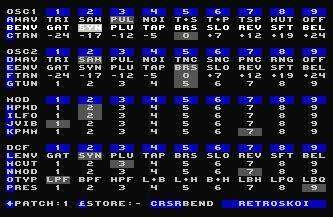 The 4 ins (4 bits = 16 triggers) returned data from these multiplexers. 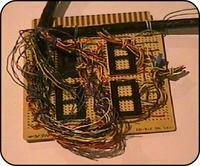 The board is shown here without the multiplexer chips. 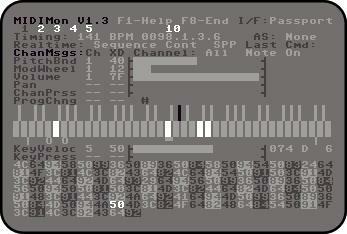 Custom designed software on the C64 performed MIDI routing to as many as 16 different MIDI devices (percussion and synth). Each switch was scanned in succession by a looping machine code routine. Because of the design, no two switches could be triggered at exactly the same time, but the system ran fast enough that this was rarely a problem. At any time, triggers could be re-routed to a different MIDI device and/or sound. Routing patches could be created and saved on the computer. Loading of patches could be initiated from any of the Hammon d'Eggs triggers. The unit supported up to four sticks simultaneously. He also built other custom Commodore 64 projects, like his custom MIDI interface, a weird looking analog percussion synthesizer and a speech sinthesizer. Not bad huh? For those who like to risk it, I spotted a dodgy Commodore 64 Midi interface in Ebay for just 5 Euros right now (9:40 PM) and only one bidder. Be sure to also check out this video. 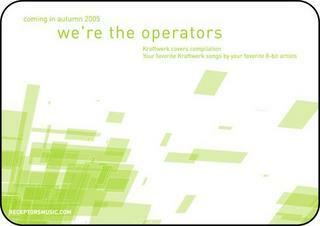 The ReceptorsMusic label have announced the release of "WE'RE THE OPERATORS", an 8-Bit KRAFTWERK Covers Compilation CD & "8-Bit OPERAtors" Vinyl LP! 0x7f000001 ,8 Bit, 8 Bit Weapon , Aonami , Bacalao ,Bit Shifter , Bublyfish , Covox , eat_rabbit , firestARTer , Glomag , gwEm , Hally , Hey Kid,Nice Robot , M-.-n , Bud Melvin , Neotericz , Nullsleep , Overthruster , Psilodump , Random , Receptors , Role Model , Sidabitball , David Sugar/logic bomb , TB Herbert , Weixelbaum , Oliver Wittchow... plus art by Wanga! DUE FOR RELEASE AUTUMN 2005!! 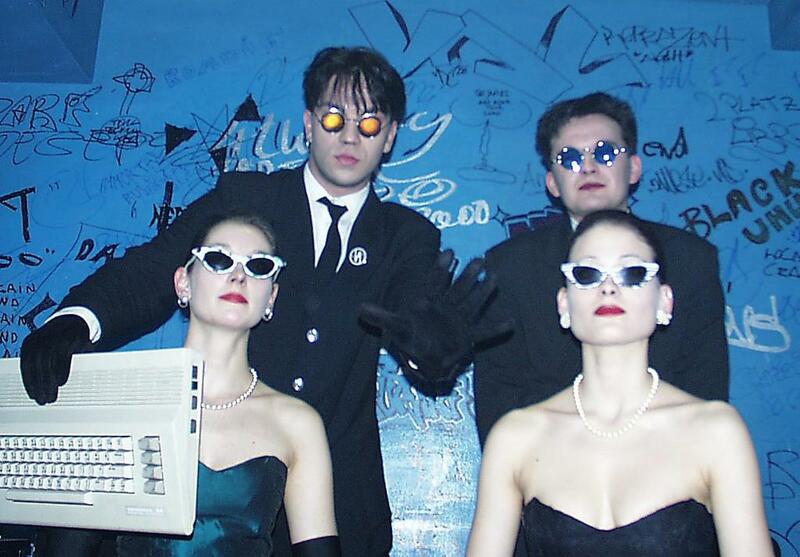 Tim Bray is behind the insane micropunkpop that Casionova delivers, described as the ultimate in geek chic, CasioNova straps on 80's home electronics, such as casio keyboards and the commodore64 computer, and, well, erm, rocks out. Pure cheesecore. In 1981 the Casio corporation produced the first portable home electronic keyboard- the VL-1, originally intended to be a calculator. 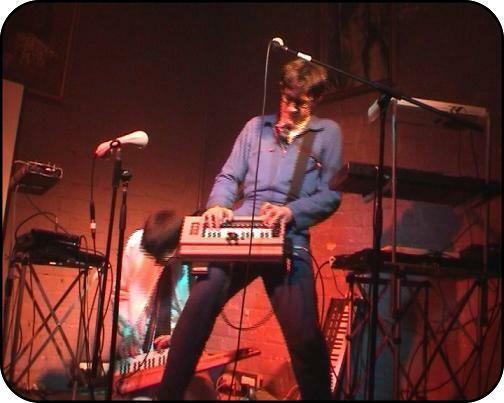 In 1986 as a youth growing up in Gold Coast city, Australia, CasioNova purchased his first Casio keyboard, he intended to be a circus freak. Years later he realised that hitting the demo button on a casio was more entertaining than nailing his head to a piece of wood. CasioNova's life is now dedicated to spreading his casiolove of DIY music-making and lo-tech autorythms around the world. CasioNova plays punkpop-electro ditties full of broken hearts, dinosaurs, space-men, lego and gratuitous references to Finland. His performance is filled with audience involvement, family slides, stupid stunts, way too many rock poses and of course everything you need to know about little toys that make a big noise. 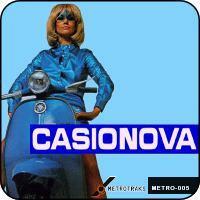 The Casionova EP was released the 31st of January 2005 with the finnish label Metrotraks. 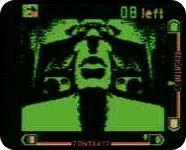 Some people could think or say that the SID is a primitive sound chip,well, depends because if Im not wrong, it was back in the late 70s when the first 8-bit audio cards appeared for Commodore PET computers. So what was the world like without the SID ? Can you imagine ??? A bit like this or this.. but the 80s where around the corner and it was already cool if you could make your computer beep in time with Kraftwerk spinning on the record player. See for example the excerpt below from the PET faq and think about it for yourself (if you want... :) Viva el SID !!! 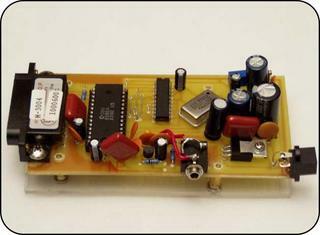 Radio Shack, including a low-cost mini amplifier. Ladies and Gentlemen, direct from the c64 wires, listen to this geezer from Istanbul called Komodor, he has a concept that started this summer, and that is: cheesy poppie tunes (alla Communards) influenced by Commodore 64 videogames, with lyrics in some cases talking about the Commodore like it was a girl he loves. Yes. It can get to that point. 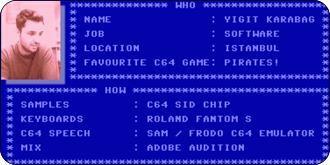 The tracks are produced with a Roland Fantom S and Frodo, the Commodore 64 emulator, there are even bits done with SAM. With titles like "Press play on tape" "Syntax Error" "Peek Poke" "1988" and more that you can download, be sure to not miss the intense lyrics to sing along... I mean it !!! SYNTAX ERROR! SYNTAX ERROR!!! 8 Bit Weapon's latest album "Vaporware Soundtracks" was composed and performed using some fun toys like vintage video game consoles (including Classic Nintendo Gameboys, Commodore 64 & 128), synthesizers, old electronics, and a live drumset. 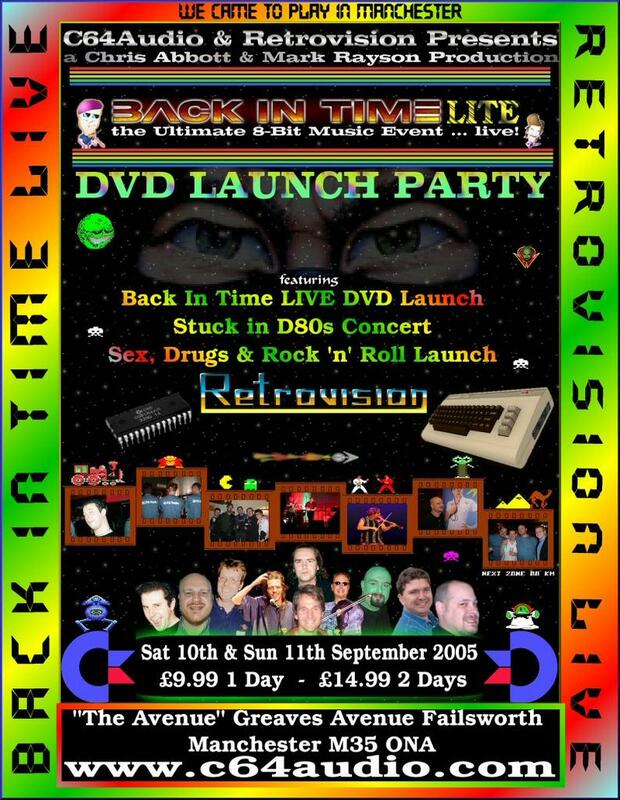 It features over an hour of original tunes inspired by the music from old 8-bit video games as well as electronic music from the 70s and 80s, with a dash of rockin' drums. Though 8BW is known for their instrumental tracks, this album contains 3 songs with vocals. Only 500 copies of this limited edition version of the album were made and are each hand numbered and packaged inside of an old 5.25" floppy disk. Comes in a white floppy disk sleeve that has the track listing on the back. This limited edition version also contains 2 bonus "demo" tracks that will not be included on the standard version of this album. 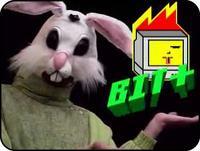 8 Bit Weapon is a musical duo that specializes in creating modern music using classic video game consoles, vintage synthesizers, and obsolete computers. 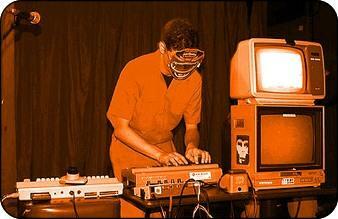 Seth and Stacey have performed across 2 continents with their arsenal of 8 bit weapons, to include but not limited to: Commodore 64 & 128, a couple Nintendo Gameboy classics, Intellivision synthesizer, Suzuki Omnichord, hybrid lo-fi acoustic-electric drums, and an assortment of other vintage and toy synthesizers. You can order it from their site via Paypal. Remember, only 500 copies. 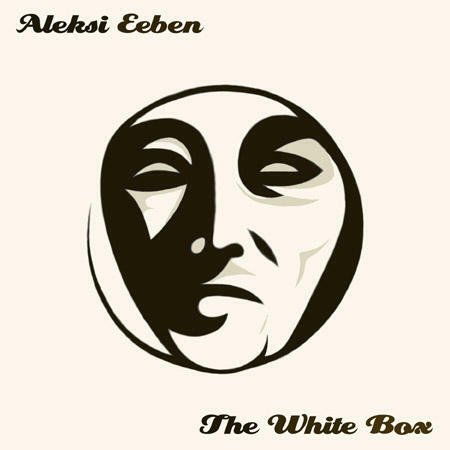 I guess you know that Aleksi Eeben has announced a competition for the sample based Polly Tracker , but just in case you missed this year's winner on the Assembly '05 oldskool music competition listen to the track "Dirty64" produced by Reed / Fairlight completely with Polly Tracker, the vocoded voice !!! how the hell have they managed to get all that into the c64 memory, I dont know but at a glance it seems a lot of sample data, but it's possible of course if you really squeeze up the samples and do an intelligent arrangement of the song. I've listened to it like 5 times in a row, and its a classic already... ahhhh...they must have rocked the place when it was presented ! this will get you going for the competition. Listen to it here ! oh , and the competition, you have to submit your entry as a Polly Tracker module and mail it to aleksi before the 22nd of September. Get the information about the rules here. Free your mind and your 64 will follow. The previously posted Cynthcart by Paul Slocum has reached version 1.0 and the cartridge is available for 30$ at Atariage now. Sounds good to me, specially because it's a cartridge, well done, I really want it now. Quick demo sound here of Paul messing around with the Cynthcart on a real C64. Paul's using a paddle to control the filter cutoff and has added a bit of echo to the sound using one of the SIDs voices. 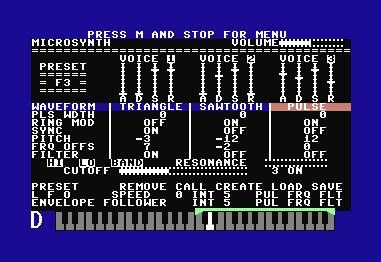 Paul's also has the Magic Voice module triggering from some of the keys which sounds pretty weird. 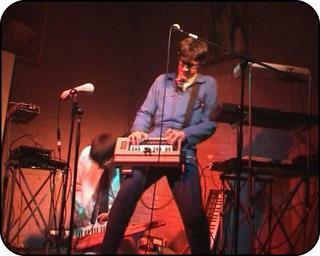 Check out this German electro band that uses commodores live and in the studio. 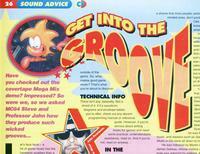 Their site has a whole section about the c64, interviews, sound samples and a videoclip I havent checked yet, oh! 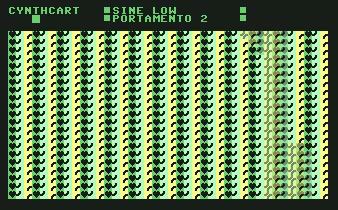 and some c64 disk images. If im correct, they are releasing a new album next month. "... Our relation to the C-64 puts us without any intention on the border of grandiloquence. The Commodore C-64 is just not a child of the 80s, it is not just a little home computer with 0.98 MHz und 0.064 MB RAM, it is not just a game console You can play Pac Man, Wizard of Wor, Space Invaders or Winter Games on. No, it is in it´s minimalistic soul the best media to let all Your visions come true. No matter if it comes to programming, to compose music, to "pixel" pictures or to write poems. You do not have many apparent options from the beginning in the C-64, but most people will not let themselves get disrupted in their process by this. The computer is a little prison, in which You soon will bump into one or another wall. But You will be content in Your creative work when You overcome those walls. In many modern devices, You might never even see the walls... "
What a way to enjoy the Sunday. Great resource for those who want to start with C64 trackers, the tutorials cover DMC 4 and DMC 5, these tutorials by Richard Bayliss are a good way to understand the way trackers work. It should get you going if you are a bit lost. I know this is old, but it's just that I really havent heard anymore C64 mashups like these ones by Mark VII. Anyone knows more tracks like this or this ? 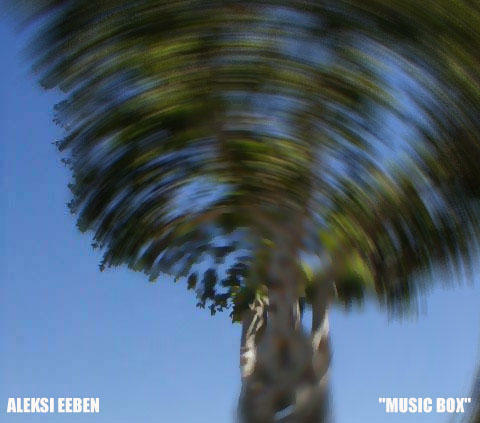 Something I missed too, the monotonik netlabel have released a few C64 related tunes over the past years, looking into the releases I found a couple by Aleksi Eeben, the man behind Retroskoi and Pollytracker. "...Finnish old-school Amiga demo scene legend Aleksi Eeben, aka Heatbeat, has never really let up on the composition, but has, rather wonderfully, regressed in his choice of hardware over time, from Amiga, through Commodore 64, to Vic-20, with sideways glances to the Game Boy. 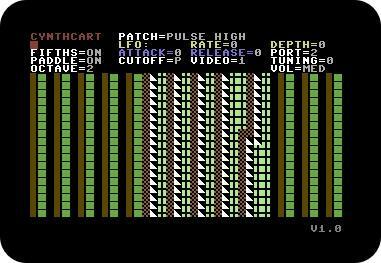 But it's his C64 equivalent of 'The White Album', the appropriately named 'The White Box', which sums up some of his borderline deviant SID-chip excursions over the previous few years..."
Turn up the volume and sing with joy this little adorable tune from the original 64 era. Amazing cross between Paul McCartney and Brian Wilson. 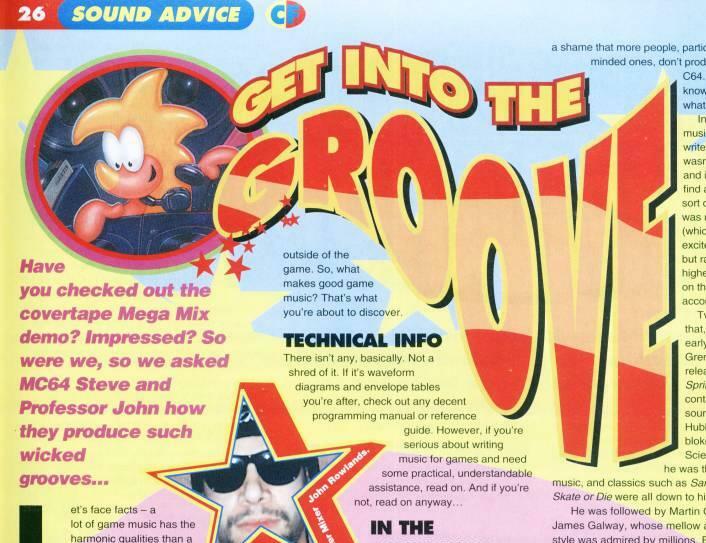 I just found this article from an issue of Commodore Format '94 on how to create music on the C64. I just remembered the magic that was behind these magazines, what a valious source they were (at least in the 80s). * Hey Hey 16K live concert! * Stuck in D'80s unplugged concert! 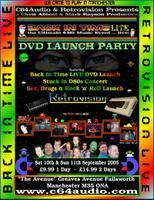 * Tickets £14.99 (Saturday/Sunday), £9.99 (Saturday), should be prebooked. just a reminder about M64 by Jonas Hultén, M64 is a program that will turn your C64 into a synth module. All you need is a MIDI interface that is either Passport, Datel or Sequential-compatible. To enable users to create good sounds, M64 provides an abstract assembly-like language (ASL). ASL programs are supposed to read MIDI controllers and act on key presses. Read the manual for more information. 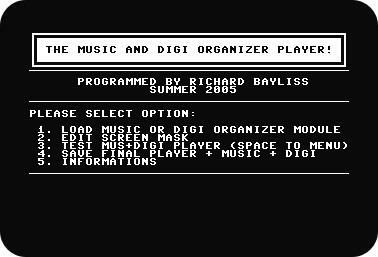 From the archives of C=Hacking (The Fridge), I've dugged out a couple of interesting SID references, like a complete reference on digital sampling and the C64, including: general theory, SID hardware description, and methods of playback (changing $d418, pulse width modulation, and various tricks). Numerous code examples are given, along with a program that does true 8-bit playback at 16KHz -- it requires a SuperCPU, but it is most impressive, and chances are awfully good that you've never heard a digi like this out of SID before. Every mobile needs a bit of sid, at least thats what sidringtones.com claim, there are a couple of previews for you to check out, they are (converting?) arranging midi files of famous game tunes, im not sure if £2.50 per ringtone is a bit overpriced but.. you can download one for free right now, its a little wizball solo. Capture the spirit of the SID: that sound is what we fell in love with! Give the ringtone industry a right good Hubbarding! 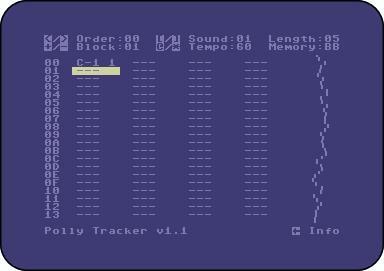 I can't believe I missed Retroskoi, a 2-oscillator monophonic synth beast from Aleksi Eeben (CNCD), the creator of Polly Tracker, which is also a new music editor which plays sampled sounds only. 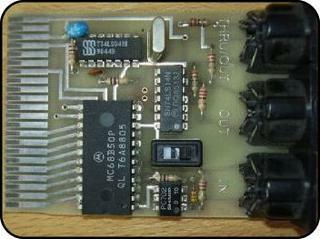 Custom built cartridge synthesizer for the C64 by Paul Slocum, geek, hacker & musician from Texas, member of treewave. can be assembled to replace the c64 BASIC ROM! Today we are presenting the Magic Voice and Sid speech synthesis module that accepts the computer's audio out and mixes its speech output with it independent of the SID, based on a custom chip (apparently the Toshiba T6721A) developed by the actual engineers of the legendary Texas Instruments' Speak and Spell family of teaching toys. "...Please turn on the yellow computers,but I like the blue ones more. What is your third name, thank you.I do not like that question,sorry. 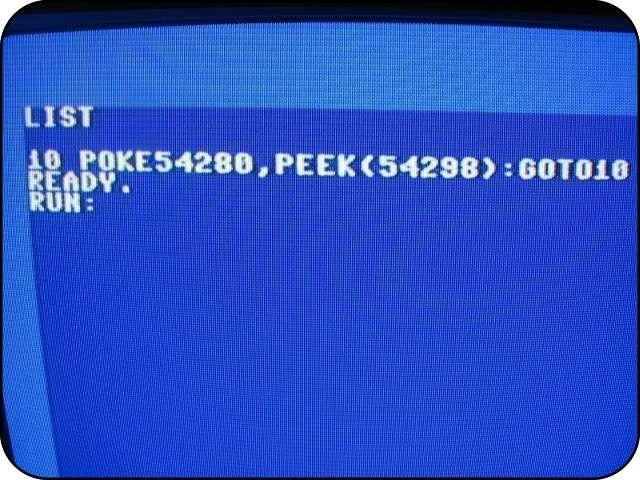 Enter key disk and run program. Everything is out of control here. You are a good commander. Find out where the CYAN CURSOR may be. She is pleasing you with words on tape, she is coloring into black light,she is writing numbers and letters. I am pointing out is is not a game. All right, are you ready for the start. If x is sixteen or y is sixtyfour.Press any key for help or smal talk. Then you have to start all over again..."
listen to the real thing. 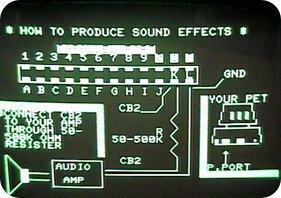 Explore the realms of electronic music synthesis with the 3001 Sound Odissey, this is serious stuff! you can change all the parameters of the voices in realtime, access to the dark realms of the SID and explore unknown territories in a user friendly interface. Maybe that was a bit too much, but just try it yourself.. i personally liked it for generating new MPC food, I guess because the interface is quite "modern" and it really looks cool.. i luv it! once again, the commodore has gained respect points for the studio. There is a sequencer but I havent really got that far yet.. It also comes with a nice tutorial on sound synthesis that has animations of the concepts and it even lets you play with the filters as the demo songs are played. Fantastic if you have kids! What can I say, download it or buy it if you want the original thing. The title from German composer Chris Huelsbeck for this year's Symphonic Game Music Concert will be The Great Giana Sisters. The classic has been arranged by Final Fantasy-orchestrator Shiro Hamaguchi, exclusively for the concert on 17th August 2005. In other news: Different from 2003 and 2004, there won't be any extra tickets available. This year's concert wrote history already: all tickets were sold-out in less than three days. The Symphonic Game Music Concert series in Leipzig, Germany is held as the official opening ceremonies of the GC Games Convention. Merregnon Studios was involved in the organisation of these concerts. On August 20th, 2003 for the first time outside of Japan, music written for video games from all over the world was performed by a live orchestra in a Symphonic Game Music concert. This event, held as the official opening ceremony of Europe's biggest trading fair for video games, the GC Games Convention, attracted a sold-out crowd of 2,000 people and once again disproved the common misconception that game music consists only of "bleeps and bloops". Titles such as Final Fantasy, Medal of Honor, Shenmue and The Legend of Zelda were enjoyed by a varied audience, including people who may have had no interest in playing games, but wanted to listen to great compositions. Under the direction of Maestro Andy Brick, the concert at the famous venue Gewandhaus zu Leipzig received a great deal of praise and enthusiasm, including ten minutes of standing ovations. It was a success that continued on through the second Symphonic Game Music concert which was held on August, 18th 2004. The Czech National Symphony Orchestra packed the Gewandhaus in 2003, and the FILMharmonic Orchestra Prague continued that tradition at the event in 2004 where they presented another highlight in game music history by performing titles such as Super Mario Brothers, Max Payne, Metal Gear Solid and Monkey Island. Fifteen minutes of standing ovations honored the work of the composers and musicians alike. There was no doubt that word had spread since the first concert because the second was sold out a month in advance! This event was capped off afterwards by the sale of game music CDs and a personal autograph session with the fabulous composers Nobuo Uematsu, Chris Huelsbeck, Yuzo Koshiro and Allister Brimble. Press from all over the world attended the events. Radio and TV stations such as BBC, ARD, RTL and Ceský rozhlas along with magazines such as Famitsu, GameStar, LEVEL and IGN.com were all represented. And newspapers such as Die Zeit, New York Times, Libération and Leipziger Volkszeitung also covered the momentous concerts. ok ok ... what is this ? I can't believe my eyes, apparently its not out yet and it will cost €359 and should play all the usual media formats. Ok.. now we only need a way to connect this thing to the C64 and then use it as a diskdrive to fill it up with .d64s, wouldn't that be cool ? 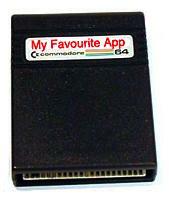 I think that would make sense, but im not sure of how possible it is... anyone knows about any USB projects on the c64 ? Check out these people having a wonderful time with their c64 sound sampler, microphone and everything ! The desk seems a bit out of control with the tambourine under the guys elbow (and scratching the record! ), the maracas,harmonica and castagnets over the monitor, the guitar ! I mean, id love to hear the track they were producing. Possibly kind of DJ Crush meets David Hasselhof ? And that book ? Art of Noise ? Obviously, what inspired this session was "19" from Paul Hardcastle...na na nineteen. FirestARTer is behind this beast. This totally rocks, but im not sure if development is freezed. The website is a bit outdated although the guestbook keeps filling up. 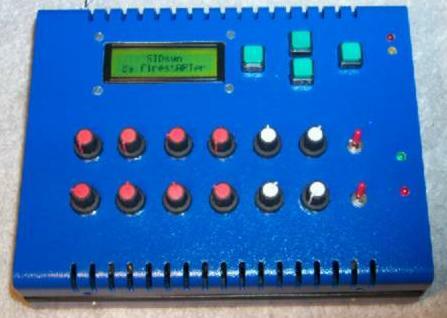 The SIDsyn is a MIDI monophon synthesizer, based on the good old SID (MOS 6581 or MOS 8580). New Prophet64 is coming soon! 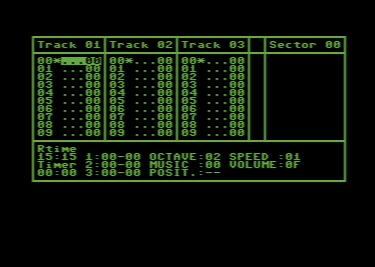 Prophet 64 is a series of synthesizer software for the Commodore 64. There are currently three editions, all MIDI compatible via DIN-sync (like the 303/606/808 etc) finally making it possible to use the C64 for contemporary music. 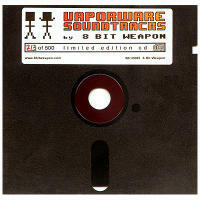 This site contains all info to get the Prophet 64 up and running whether using floppy or tape. Instruction manuals also cover building sync-interfaces to hook it up. Actually, it is so easy that there is no excuse for not taking out the old boxy thing of the closet, dust it off and join the 21th century S.I.D. revolution right away! NEW PROPHET 64 EDITION UNDER DEVELOPMENT! * Completely new killer edition! 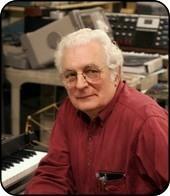 The man behind Rhythm Rocker, this guy is amazing, a total hero, check this out from a recent interview: "...I still use C64 for my commercial music productions such as CD albums and writing film scores or Jingles. 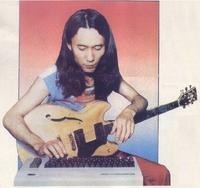 I have written software called "Kawasaki Midi work station" around 1986 for C64 and made hand made sync box to go with. This is pretty serious MIDI sequencer and I designed it to be the way I like it to function. It only had one page of main screen for all the functions so that I didn't have to go to different pages for the different tasks or command, so it was more like a musical instrument for me and that is why I still used it even all the sophisticated sequencers available on the market such as Cubase. Because I can make new entire tracks on my sequencer while reading few pages of the manual for the new sequencer for PC or Mac and I am so impatient to read manuals for the new software, I lose passion and inspiration to make music itself, if I have to spend time to learn new machine or software. It works both for midi and pulse sync, so I can sync with drum machine like Roland TR-808 or old drumulater while syncing with other Midi drum machine or sequencer. During the late 1980's, I have made many dance 12 inch singles (mostly House or Techno tracks) using this method and I hardly used tape recorders. 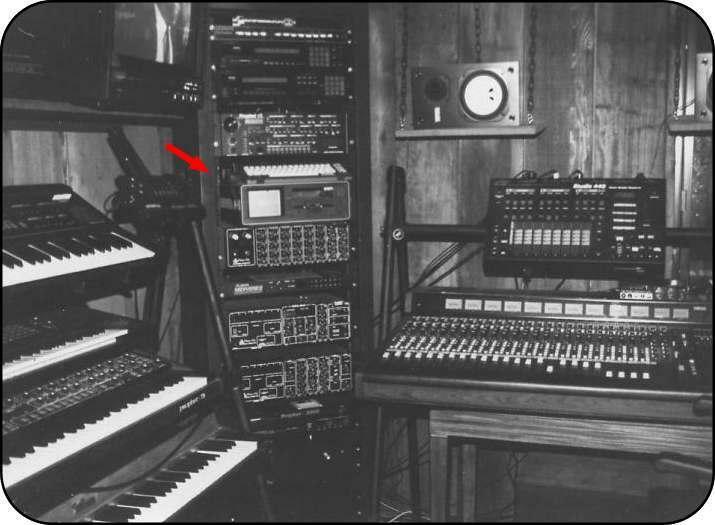 All the vocal tracks were sampled on samplers such as Akai-S900 and Roland S-550 and fired by this seuencer. And the data for the entire song fit in the memory of C64, which I had about 40K out of 64K for music data for 4-7 minutes long song with many different parts. This sequencer had 8 tracks and it could work with both real-time input and step time input..."
C64 DIY guides from Germany that allows you to modify a c64 into a MIDI controlled Synth using our beloved SID chip.